Free Republic and ABC News Blog report the latest on the Bill Clinton-Las Vegas Madam prostitution saga. Sort of like “smoking pot but not inhaling” one would imagine. Alleged “Madam” Esperanza Brooks was busted earlier this month. The lawyer for an accused Las Vegas “Madam” says she did work for Bill Clinton but only to provide makeup, not girls. Alleged “Madam” Esperanza Brooks told undercover officers her clients “range from ‘Shaqille [sic] O’Neal to Bill Clinton,'” according to a police report obtained by the Blotter on ABCNews.com. In his first interview since his client’s arrest, Brooks’ attorney Michael Sanft told ABC News his client did indeed work with both Bill Clinton and Shaquille O’Neal, but only in her professional capacity as a makeup artist when the two men made public appearances in Las Vegas. Attorney Sanft denies Esperanza was operating a prostitution ring, saying she has no prior arrests and never had 40 girls working for her. “Her judgment was blurred by her eagerness to make a quick buck. She was misread and misinterpreted as a ‘madam’ as she tried to play herself up as something that she wasn’t,” he said. Esperanza Brooks may allege that she is innocent but in a police sting earlier this month, Miss Brooks and two of her “friends” were arrested on prostitution charges. 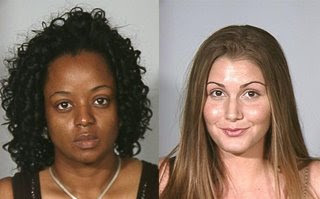 Uh-Oh… Bill Clinton Named in Las Vegas Prostitution Bust!